I think this image sums up/represents the whole concept of BPD. It represents the black and white thinking. 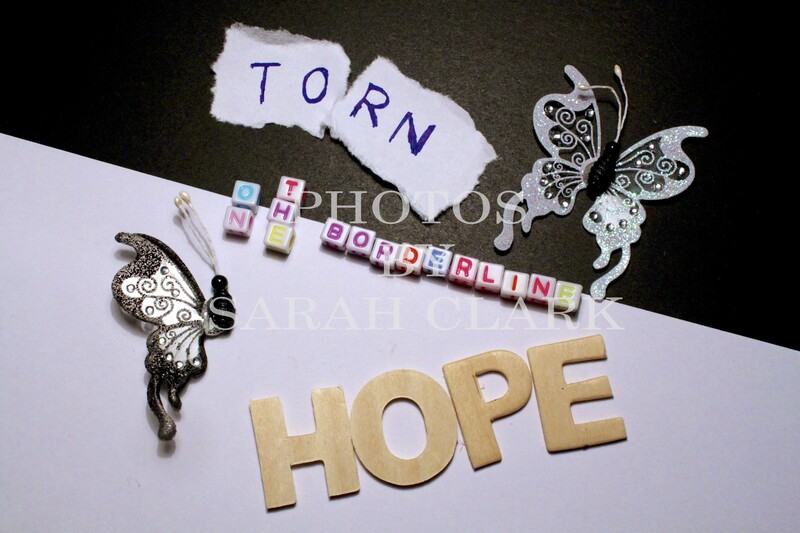 The ‘torn’ represents feeling damaged and broken and fragile; the black side represents despair, depression and darkness. Contrasted with the white side representing feeling light and elation and “hope” for the future. The butterflies and their flapping wings represent the fragility of how you feel and flapping backwards and forwards between mood states.